RAVENSHEAD THEATRE GROUP AGM 2016 – A DEAD HEAT! 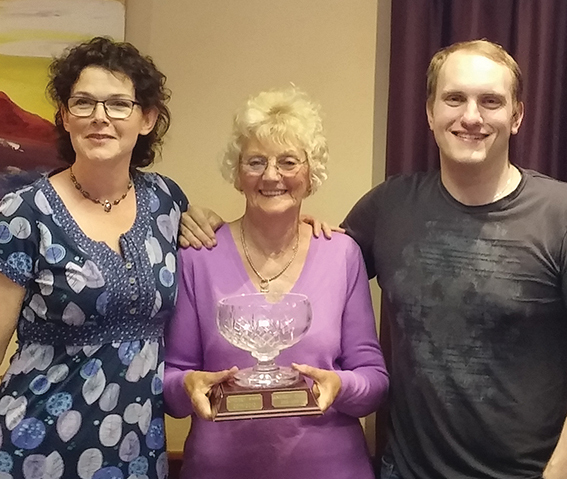 On June 29th RTG held its annual AGM and Awards Evening in the Brammer room at The Village Hall. Alongside the serious business of electing a new Committee, financial reports and a review of our 3 productions this “season”, the highlight of the evening, as always, was our annual Awards ceremony. So, with the voting in the EU referendum still ringing in our ears, RTG members were asked to vote yet again. With Trophies for Best Performance, Best Director and Outstanding Achievement all to be won. Since introducing these awards in 2008 we have never had a ‘dead heat’ before, but this year our members voted in equal measure for two actors – Richard Kinnaird for his moving performance in the title role in ‘Macbeth’ and Mandy Buckley for her role as Queen Caligula in ‘Snow White & The Seven Dwarfs’. Both actors deservedly share this year’s Betty Kirk Award for Best Performance. 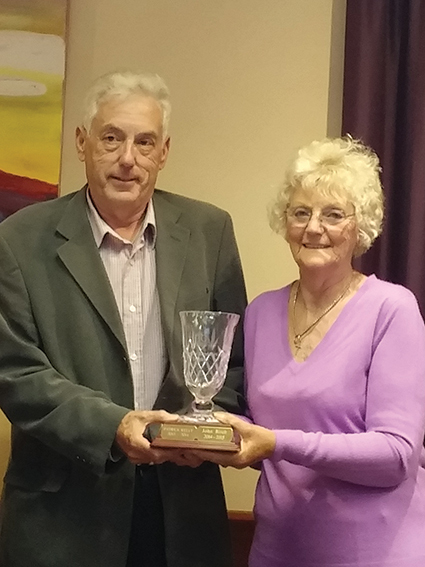 The winner of this year’s Founder Members Trophy for Outstanding Contribution to the group was Patrick Kelly for his tireless work as our Treasurer and for his devotion to making our Box Office run as smoothly as possible. The Trophy for Best Director went to John Birch for directing our popular panto ‘Snow White’. All the awards were presented by Joyce Townsley, one of our Founder Members. Reports from this very successful 2015/2016 season focused on our Youth Group success, winning the NANDA Festival trophy for Best Play. Also, the success of our first Shakespeare play – our October production of ‘Macbeth’, excellent ticket sales for ‘Snow White’ and the landmark production for Graham Smith of ‘Lucky Sods’. The immediate future for RTG looks very Dickensian as we now concentrate on our December production . .yes that’s right . . a production early in December of ‘A Christmas Carol’!! Rehearsals for this festive treat begin before August so Christmas for our members starts really early this year!! Watch the website this autumn for more details.